How do I submit photos for the contest? Upload all entries directly to the website - no need to mail anything in. The files can be uploaded using the "Submit Photos" button (after logging in) on this website starting April 20, 2018 and ending at 11:59pm Pacific Daylight Time , June 5, 2018. Images may be original digital files or slides, negatives and prints that have been scanned and saved as a jpeg (or jpg) file. All files must meet contest specifications. Guidelines for preparing and uploading files can be found on the Image Specs page. What subjects are acceptable to enter? Marine and anadromous (migrating up rivers to spawn, i.e. salmon), underwater, intertidal, or at the surface. What subjects cannot be entered? If nature or wildlife is not the context of a photo, it is NOT an acceptable subject for this contest. Also, photos not featuring species and locations appropriate to the Salish Sea are not acceptable. (See acceptable subjects answer above for details). Do animal subjects have to be wild? Photographs of animals in the wild are favored over those in controlled conditions, but wildlife sanctuaries, aquariums and rehabilitation facilities are acceptable locations for contest images. These should be marked "Captive" on the upload form. However, game farm animals are not allowed. Game farms are defined as private for-profit operations whose primary income is generated from hiring out captive animals for photography, videography and film-making. Also, use of live bait to attract or control subjects is not allowed. When I submit a photo to the photo contest, what rights am I agreeing to give? Copyright and ownership remains with the photographer. By entering, photographers grant permission to publish their Top 100 images on the contest website, the SeaDoc website, newsletter and other educational/non-commercial outreach materials in their mission to protect the Salish Sea, including promotion of future Salish Sea in Focus contests. Unless photographers opt out on the entry form, their names and website links or email addresses will appear adjacent to their images. No, the original can be film or digital capture that was created with any kind of camera or mobile device. Scans of negatives or transparencies taken with film cameras are acceptable as long as the files meet submission specifications. Just like images taken with traditional cameras, mobile device pictures must be sized to contest specifications. Guidelines for preparing and uploading files may be found on the Image Specs page. How many photos may I enter? You may enter as many photos as you wish. Enter your credit card information on the secured contest payment page. The vendor name on your credit card statement will appear as "Stripe.com" with "Salish Sea in Focus" in the transaction detail. These companies are authorized payment processors for the Salish Sea in Focus Photography Contest. How will my photograph(s) be judged? Judging consists of two rounds of scoring. In the first round, experts review every entry for basic technical quality such as exposure, sharpness and whether it meets contest requirements for content and subject matter. Entries selected in round one proceed to round two, where the featured judges score each image based on originality, quality and how well they capture the spirit of the Salish Sea marine ecosystem and its fish and wildlife. Entries with the highest scores will be declared the winners. All decisions made by the judges and contest organizers are final. Prizes include cash (see below) and inclusion in a celebration October 4, at the Pacific Science Center in Seattle . This recognition event will feature a reception and an awards presentation featuring high-scoring photos. Cash prizes amounting to more than $6,000 will be awarded in five categories, plus three additional cash awards will go to entrants under 18 years of age. The Top 100 images will be featured on http://seadoc.contestvenue.com/. The Top 100 finalist images will be displayed on the contest website. One finalist image will be featured on the home page each day and all 100 will be accompanied by the photographer's name, contact information, and link to website if desired. All entrants will be notified by July, 2018 to view their results online by logging in at contestvenue.com. Winners and the Top 100 images will be posted online on this website starting in July, 2018. Yes, if it is a prize winner or otherwise among the Top 100 finalist images. These will be displayed on our contest website until the next year's contest begins. One finalist image will be featured on the home page of the contest website each day, and all 100 will be accompanied by the photographer's name, contact information and link to your website if desired. May I enter a photo that has previously been published? Photographs that have been published in Pacific Northwest regional books, magazines or newspapers are not eligible for submission. Publications include, but are not limited to "The Salish Sea: Jewel of the Pacific Northwest" and "Explore the Salish Sea: A Nature Guide for Kids". May I enter a photo that has previously won a contest? You may enter that image as long as its winning does not prohibit you from fulfilling the rules of this contest and if it has not been published in Pacific Northwest regional books, magazines or newspapers. By entering the image, you agree that there are no restrictions tied to the image that would prevent us from publicizing its win. How recently must I have taken the photo I enter? There is no time limit on when a photo might have been taken, though advancements in photography have given certain advantages to images created in recent years and this may affect their ultimate judging. 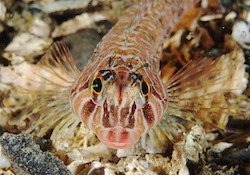 Salish Sea in Focus is looking for the most wonderful images in this marine ecosystem that were captured by a camera. This is not a contest to showcase computer skills in manipulating an image beyond standard processing techniques. Entries should accurately reflect the subject matter and scene as it appeared when captured with the camera, though cropping is allowed. Can I use Photoshop or other image processing software? Basic processing including, but not limited to color correction, exposure adjustment, spot removal, saturation, contrast, sharpening, cropping, and noise reduction is acceptable. Content may not be added. Significant content may not be removed. Cosmetic cleanup of minor elements not contributing to the substance of the image is allowed. Tools and filters that alter the appearance with artistic effects or photo composites of more than one scene are not allowed. High dynamic range images (HDR) and stitched panoramas of a single scene are acceptable. It is in the photographer's best interest to include the name of the subject, location, and any information that makes the image content clear to the judges. To keep entries anonymous for the judges, do not include your name or anything else that would identify the photographer, as this is means for disqualification. How do I know that you have received my entry? You will receive a confirmation email from the contest system itemizing your submissions. Please be sure your mail program or spam filters are set to accept mail from "contestvenue.com". Can I review the photos I've already submitted? Yes, you can view your submissions at any time until contest closes by simply logging in to your account. You may also submit more images or replace ones that you have already submitted. Do I have to enter all my images at the same time? No. You can come back any time up until the submission deadline to upload more images. I accidentally uploaded the wrong photo and paid the entry fee. Can I delete my entry and submit a new photo? Yes, you can come back any time up until the submission deadline and change your entries. You can upload a modified version, replace a photo with a different one, add more photos, or remove a photo. However, no refunds will be given for photos that are removed. Make sure your images meet the requirements on the Image Specs page. Are release forms required when submitting a photograph to the photo contest? By submitting a photograph to Salish Sea in Focus you warrant that you are the owner of the image, that you alone own the copyright, and that you have obtained any necessary third-party releases. If the photographer is under 18, the signed release by a legal guardian must be submitted and an adult must pay the entry fee to complete the entry process link to minor release form. Should your entry prominently include a person's face, identifiable private location or structure, you may be required to provide the Salish Sea in Focus release form signed by the subject or its representative if requested by contest organizers.